Soldiers participate in combatives training during the first gender-integrated Ranger course on Fort Benning, Georgia., April 20, 2015. Photo by Nikayla Shodeen. 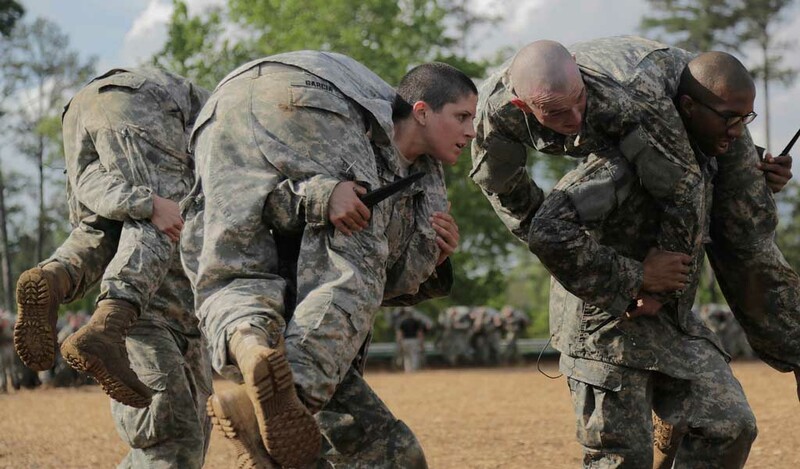 From now on, the Army's Ranger School will be open to any female Soldiers who meet the criteria. "Giving every qualified Soldier the opportunity to attend the Ranger c/154897ourse, the Army's premier small unit leadership school, ensures we are maintaining our combat readiness today, tomorrow and for future generations," Army Chief of Staff Gen. Mark A. Milley said.